CHICAGO (Reuters) - A group of international researchers is making the case that genetic tests that look for multiple hereditary genes suspected of being linked to breast cancer should not be offered until they are proven to be valid and useful in clinical practice. Such tests, made by several companies including Myriad Genetics Inc, Ambry Genetics, Invitae and Illumina Inc, cover up to 100 inherited cancer genes, including more than 20 for breast cancer. They have become increasingly popular since June 2013, when the U.S. Supreme Court invalidated patents held by Myriad on BRCA1 and BRCA2, two well-characterized genes that put a woman at high risk for breast, ovarian and other cancers. What the researchers are concerned about are lesser-known genes included in the tests. 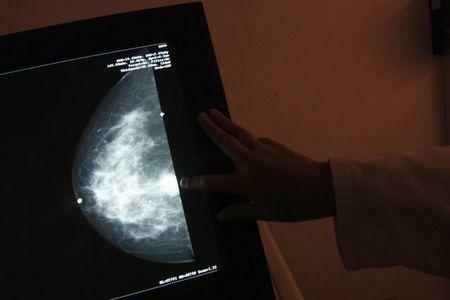 "The reality is that we don't have good risk estimates for mutations that occur in many of the genes on the panels," said Fergus Couch, a breast cancer expert at Mayo Clinic in Rochester, Minnesota. Couch is one of 17 genetics experts arguing against the use of such panel tests in a paper published on Wednesday in the New England Journal of Medicine. In the paper, researchers proposed that "a genomic test should not be offered until its clinical validity has been established." It comes as the U.S. Food and Drug Administration considers how to regulate lab-developed diagnostic tests, which include most genetic tests. Currently, lab-developed tests fall under guidelines established by the Clinical Laboratory Improvement Amendments (CLIA) of 1988. But under CLIA, such tests are not required to prove clinical validity or utility, meaning the information aids patient care. Some experts have argued that including lesser-known genes in the tests is critical for generating enough data to determine their disease risk. But the tests can leave patients and doctors wondering what the results mean. "It’s been pretty widely assumed that all of these genes on all of these panels have clear clinical validity," meaning the genes are clearly associated with cancer, said University of Pennsylvania breast cancer expert Dr. Susan Domchek, a study co-author. "The point of this article was to say, we’re not finished with that step yet." Several insurance companies have already decided not to pay for the tests. Earlier this month, the U.S. Centers for Medicare and Medicaid Services issued a draft statement saying large panel tests for BRCA genes that include genes not relevant to the patient "are not reasonable and necessary."